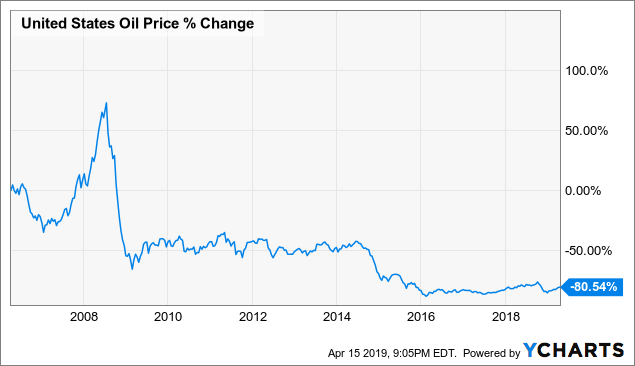 The United States Oil Fund ETF and the United States Natural Gas Fund ETF were among the hottest products on Wall Street when they were started in the mid-2000s. However, despite the hype, the two ETFs became one of the largest single transfers of wealth from retail traders to pros in the history of investing. There is no compelling reason to invest in USO or UNG due to flaws in index construction and high fees. What you can learn from those who lost their shirt in USO and UNG, and how to actually trade crude oil and make a profit. Like real estate, commodity markets have a certain cachet to them that draws in the attention of the American public. In popular culture, futures trading is portrayed as attracting rebels who like to take big risks. 1980s Hollywood is probably to blame, with the classic Eddie Murphy movie Trading Places and the Tom Cruise movie Cocktail both featuring characters who were big risk-takers in the futures market. Of course, there's also the old jokes about commodity traders waking up to a truckload of corn dumped on their driveway. In the 1990s, energy trader Andy Hall made headlines for making hundreds of millions of dollars the night Saddam Hussein invaded Kuwait. Fast forward to the 2000s and you had a couple of interesting trends going on that got people interested in commodities. First, you had the oil boom caused by a huge increase in Chinese demand and constant threats to supply in the Middle East. Then, Yale professor Gary Gorton argued in a groundbreaking paper that commodities should be an asset class for institutional investors. The world suddenly developed an intense fear of missing out on the commodity boom and started to pile into commodities without having the know-how or infrastructure to accurately value assets and trade efficiently in most cases. As you'll see, this was catnip to naive investors who wanted exposure to commodities via some kind of exchange-traded product but were allergic to actually learning to trade futures. It may not go down as the worst idea in history, but the cumulative wealth transfer was pretty large. The thesis eventually trickled down to retail investors, who, again, wanted a piece of the action. Wall Street was happy to give it to them, for a healthy fee. Enter the United States Oil Fund (USO) and the United States Natural Gas Fund (UNG), launched in 2006 and 2007, respectively. The bigger of the two funds, USO, gathered over 4.2 billion in assets by 2009. Unfortunately for investors, those assets mostly since ended up in the pockets of professional energy traders, market makers, and fund sponsors. USO= -80.5 percent since inception. UNG = -98.6 percent since inception. What happened with USO and UNG? 1. The "term premium" in commodities is caused by supply and demand for goods (and their respective futures contracts), so if billions of dollars in speculative capital come indiscriminately rushing into these ETFs, then the returns will not be as attractive. In agricultural commodities and heavily seasonal commodities, it can be pretty tricky to read the term structure to see if there's a benefit to going long at any given time. To this point, most commodities aren't offering opportunities for speculators at any given time. In oil, it's pretty simple - don't buy oil futures if they're in contango. When crude oil is in contango, the market isn't paying a premium for you to take the other side. The dumb passive money will keep on buying though and will get run over, month after month. 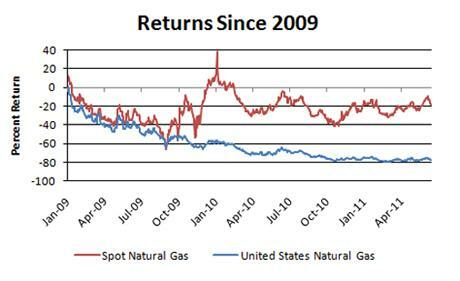 For natural gas, where the contango is historically steeper, the losses have been staggering. If investors had known to trade the futures market tactically rather than "allocate" to oil ETFs passively, they wouldn't have lost billions to professional energy traders. The "passive" investing cult has reached the point where the crowd is making irrational decisions about investing in almost every asset class. For commodities, the relationship between imbalances in capital and futures returns is nearly perfectly linear. 2. Commodity funds tell the rest of the market when, where, and how they're going to roll billions of dollars in positions every month, so pro traders pick them off. Also, rolling billions of dollars in positions is going to have much higher transaction costs than moving a few million dollars' worth. It's actually not an advantage to be "passive" like this. The CFTC estimates that USO incurs over 25 basis points per month in transaction costs from rolling futures contracts (3 percent annualized plus management fees make the cost of holding USO roughly 4 percent per year, all else held constant). This is a problem with passive investing in stocks too, with issues like the annual Russell 2000 rebalancing being a license for hedge funds to take money from passive investors. Transparency is good in relationships and in many businesses, but not when it comes to showing your cards in a poker game! The popular Vanguard (BND) and iShares (AGG) aggregate bond ETFs create a similar disadvantage for Main Street, as I've conclusively demonstrated in several previous articles. 3. USO and UNG are trying to track the spot index rather than supplying capital where the market needs capital supplied. The world does not need USO or UNG, and as such, the fund is punished by the market with losses for misallocating capital. 4. 1+ percent historical management fees did not do investors any favors, considering individual traders could put their own crude oil futures trades on and have far lower transaction cost as well as higher profit potential. 5. 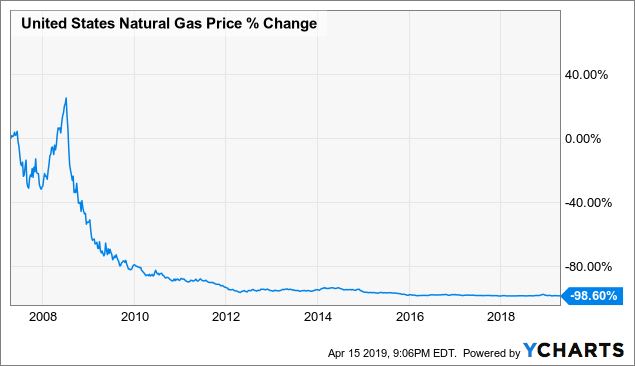 There are only a few market makers in natural gas who can handle UNG's roll size, so UNG is just plain going to get robbed every month trading into a thin market. Plus, the awful contango in natural gas from being consistently oversupplied in the US has crushed performance. Dr. Gorton's premise behind investing in commodities was simple. Producers often need to hedge their production (for bank loans, for insurance purposes, and for achieving certainty of cash flow for shareholders), so supply/demand imbalances in the market will often offer a premium to speculators to take the other side. This is especially true where there is a shortage of a commodity because producers are willing to pay up to take delivery now rather than later. This is called backwardation. 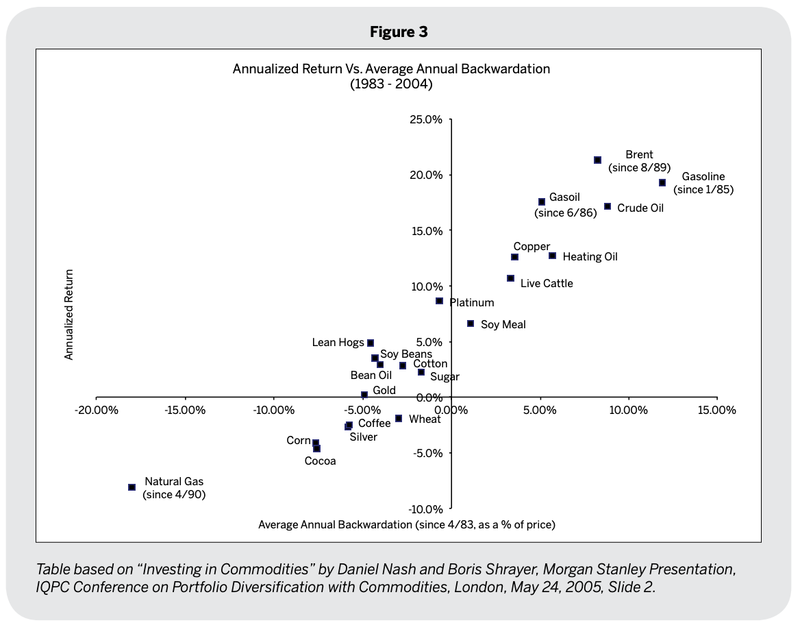 Backwardation is associated with positive returns to being long futures, especially if the commodity in question is hard to store (oil, gasoline, and live cattle are three good examples of this). Gorton was right, but that doesn't mean that Wall Street would listen. Instead, they programmed the products to fail, either because they didn't know how to do better, didn't care, or wanted a piece of the kill. If you're a trader, you can step in if the market is giving you a premium to do so and make money on average. In fact, you can make a killing trading oil. However, the term structure–the relative prices for futures for each month, is not to be ignored. Trading is not a passive business! If there's an oil glut, for example, instead of earning a premium to buy futures a few months out and sit on them, the market would dictate that the goods in the future should be more expensive, to reflect storage cost and because fewer people want them now. This situation is called contango. 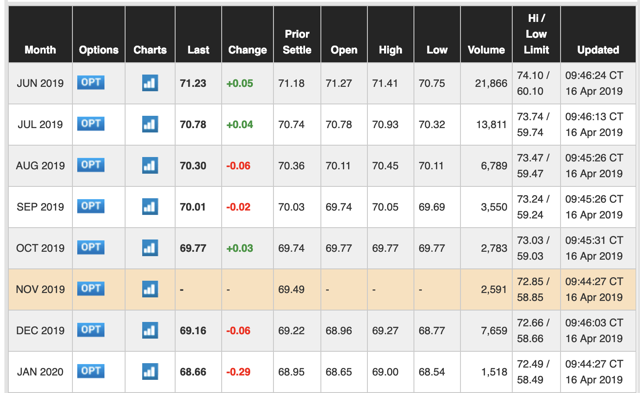 A slight contango is normal for commodities that are easy to store, such as gold and silver, or abundant, such as corn and wheat, which also usually trade in contango. For an example of a slight contango, to buy gold futures you have to pay roughly the LIBOR in exchange for barely putting any money down, reflecting the presence of arbitragers in the market. 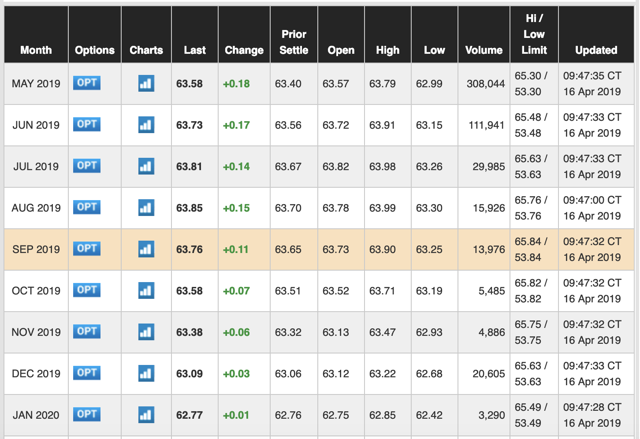 However, in oil, contango can become huge. This is dangerous because what it means is that there's too much oil on the market and not enough buyers. So, if you were long the USO, the fund would buy month 2 and sell month 1 every 30 days. In 2009, that means they lost like $30 in contango for every $100 that they invested. The market didn't need their capital! In fact, had they wanted to help match supply and demand, the correct play in February 2009 would have been to buy oil at spot prices, figure out how to store it cheaply, and to sell it forward. By doing this, they could have made a 25 percent return before expenses. The next time an oil glut hit in 2014-2015, the contango crushed investors who bought crude oil futures when the market was against them. Also notable is that in both cases, contango conditions preceded the crash in spot prices. If you actually want to make money in oil, the best way I've found to trade is to buy contracts about 2-3 months out when the market is in backwardation and sit on them for 30-60 days, rolling them out again. You need to monitor the term spread every couple of weeks to make sure that a glut isn't incoming, but trading this way has both higher return and lower risk than trading the front month contracts and rolling every month and holding regardless of whether the market is in shortage or surplus. As you can see from the above performance graphs of USO and UNG, misallocating capital like this is devastating for performance. The natural gas contango has been consistently worse than oil, contributing to the 98+ percent decline in UNG. So what does oil look like right now? 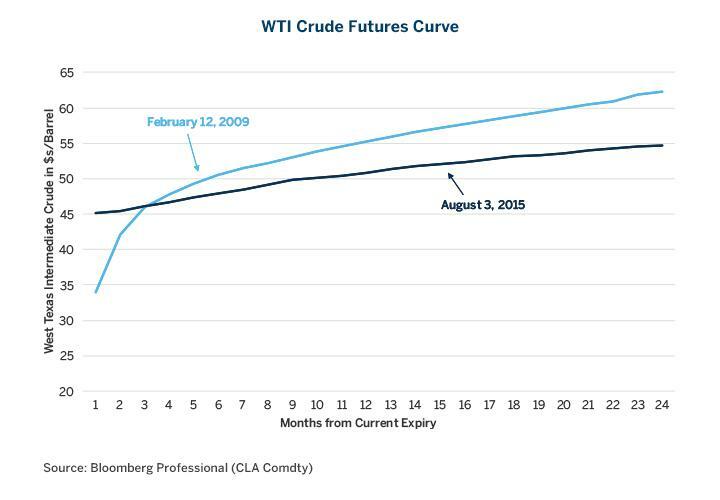 As you can see, the WTI oil curve is pretty flat, as the market has been getting tighter after being in contango. There is currently a slight contango that peaks in August and ends in November. The market is saying that supply and demand for crude oil are likely to be relatively balanced through November, and then the market starts to tighten up. It's actually interesting because the market for Brent crude, which is the European benchmark, is a lot tighter than WTI. This is a little known fact, but Brent futures are a much better play than WTI as a hedge against chaos in the Middle East because Europe is closer to Iran and Russia than the US is (see 2011). Unfortunately, the main ETFs track WTI, which has more supply and is less susceptible to a Middle Eastern supply shock than Brent. If you want to play oil futures, play Brent. As you can see from the CME graph above, many of the reasons for the historical outperformance in Brent crude are structural. Another cool play is to take advantage of the current backwardation in gasoline futures, buying the July contracts right now and selling them in the first week of June to take advantage of seasonality and backwardation. Refineries are doing a lot of maintenance right now so the market is pretty tight. Ditto for live cattle futures for June, for different reasons relating to bank capital requirements and insurance needs of producers. Many banks have exited the business of trading commodities, leaving healthier returns for speculators today than there were 5-10 years ago. Note that the futures trading business is never conducive to buy-and-hold. Properly trading commodities requires you to monitor the term structure at least every 10-14 days, however, which costs about 15 minutes per month. It's better than losing 80+ percent of your money in 10 years though! If the term structure persistently flips into contango, it's time to sell. If you want to trade commodities and make money, you need to know what you're doing. Understanding the fundamentals of the crude oil and natural gas term structure and supply/demand will help you profit and allocate capital to where it is welcome. USO and UNG are not going to do that for you. If you have one of the roughly $2 billion currently invested in these two funds at the moment, consider investing in literally anything else. Used properly, commodities can diversify your portfolio and boost returns. Done improperly, you might as well light your money on fire. Did you enjoy this article? Follow me for future email updates!